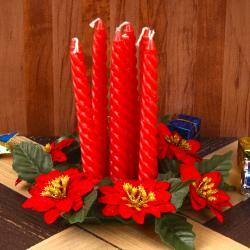 Product Consist : Artificial Christmas Tree (Size : 12 inches) along with Pack of Christmas Decoration and Pillar Candle. 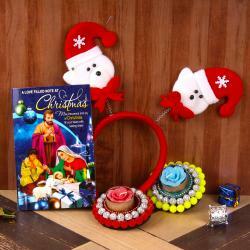 Greet your loved ones with lots of love on this Christmas by sending them ultimate gifts from Giftacrossindia. The evergreen tree has traditionally been used to celebrate winter festivals for thousands of years. Christians use it as a sign of everlasting life with God on Christmas Eve. Your Christmas celebration is incomplete without Christmas tree. 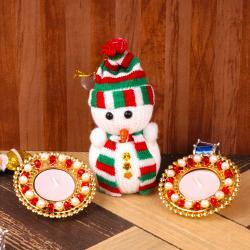 We bring you a tiny Christmas tree with decorative ornaments for Christmas Decoration of your home and office which give ethnic touch of Christmas along with Candle. 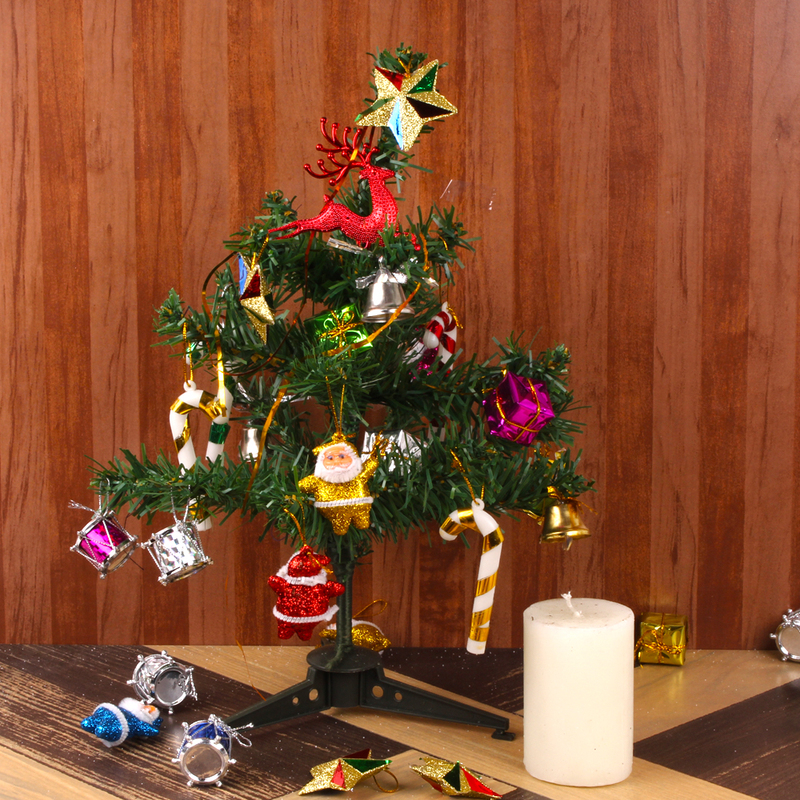 So, go ahead and place the order for this lovely Christmas tree. 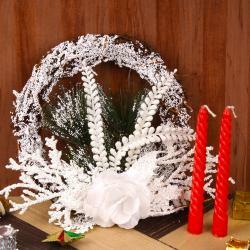 Product Consist : Artificial Christmas Tree (Size : 12 inches) along with Pack of Christmas Decoration and Pillar Candle.